What’s the big deal about Loan Estimates? Effective for new applications on October 5, 2015 and later, the “Good Faith Estimate” was replaced by CFPB’s “Loan Estimate”. This document is similar to HUD’s 2010 Good Faith Estimate (GFE) as it makes the lender be accountable for the Loan Estimate provided to the consumer. It must be delivered within a certain time period, upon specific circumstances and may only be re-issued upon specific circumstances (aka “a changed circumstance”). Similar to the retired 2010 GFE, the Loan Estimate has varying levels of “tolerance” as to how much certain fees are permitted to change from when the Loan Estimate was issued to closing. The lender may be responsible for fees that exceed the allowed tolerance. The Loan Estimate has been touted as a document that borrowers can use to shop lenders and to help provide clarity during the mortgage process. Borrowers should not expect to receive a Loan Estimate until they provide the mortgage originator with what constitutes an application. The application can be triggered by receipt of this information either with a formal loan application, verbally, in writing or electronically. You don’t have to be sitting down with your Loan Officer and completing a formal “loan application/1003” in order to create what is defined as an application. It will typically take a couple days for the lender to provide the Loan Estimate as it’s typically not the Loan Officer who will be preparing and providing the document. It will probably generated by someone in the lenders compliance department because of the liability associated with the document. The Loan Estimate must be delivered or placed in the mail no later than third business day per the CFPB. If a consumer were to actually try to use the Loan Estimate to shop lenders, the pricing for the interest rates on the Loan Estimate will no longer be valid as it will days old (up to 3 business days plus the time it takes for the US Postal service to deliver the Loan Estimate). NOTE: Creditors are not required to collect all six pieces of information constituting the consumer’s application—i.e., the consumer’s name, monthly income, social security number to obtain a credit report, the property address, an estimate of the value of the property, or the mortgage loan amount sought—prior to issuing the Loan Estimate. However, creditors are presumed to have collected this information prior to providing the Loan Estimate and may not later collect it and claim a changed circumstance. For example, if a creditor provides a Loan Estimate prior to receiving the property address from the consumer, the creditor cannot subsequently claim that the receipt of the property address is a changed circumstance. So if a lender issues a Loan Estimate without having all six items that constitute an application, they will have no wiggle room to re-issue a revised Loan Estimate once they receive the missing information. 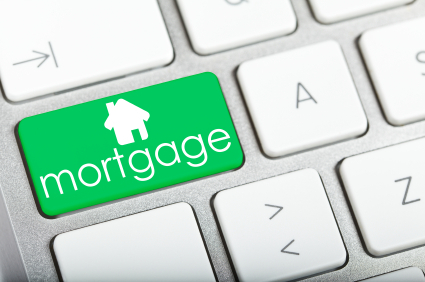 Thankfully, mortgage originators can still provide detailed written quotes to consumers so that they don’t have to wait days for the Loan Estimate. With the new changes this month, our written quotes are now called “Pre-applicaton Work Sheets”. The Pre-application Work Sheets should also provide more accurate information for closing cost than the Loan Estimate as the Loan Estimate does not use actual title fees. (I’m still scratching my head on that one). Bottom line: once the six items that constitute an application are received by the lender, the lender must issue a Loan Estimate within three business days or cancel the application. Borrowers can expect to receive a written rate quote, like a “pre-application worksheet” in lieu of the Loan Estimate until an application has been triggered or provided (which is probably more accurate than the current LE anyhow)!